You can access to template manager with the top menu : "Extensions --> Template Manager --> joomspirit_115 "
With "joomspirit_115" template, you can set a lot of parameters. All the details here. 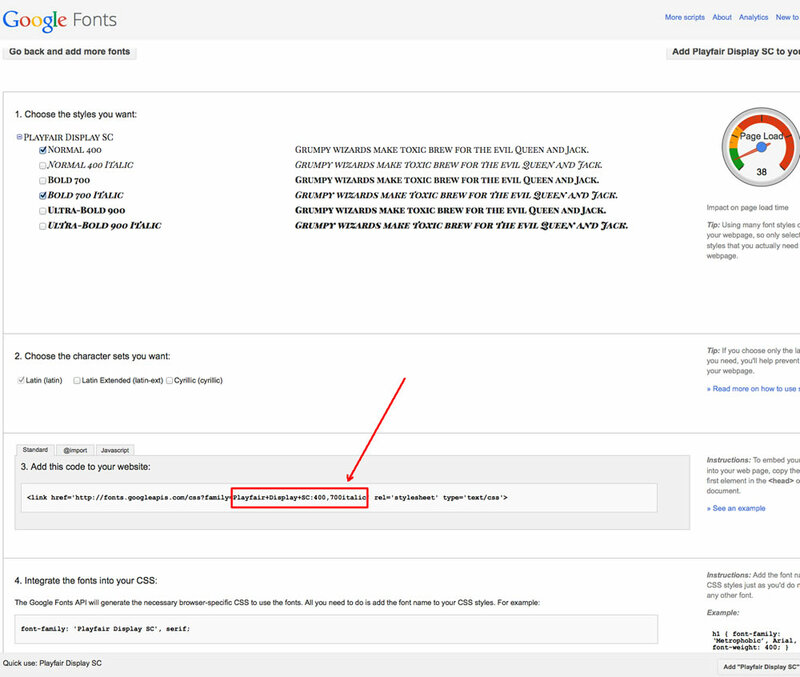 To change the site name, go to the template manager and write your text (section "Left side - Logo"). With the module class suffix " extrabox-2" : same thing but the width of the module is 125%. I use this Module class suffix in the Home page of this demo. If you display a slideshow module (like on the Home page demo with the position "top") you can add the Module class suffix "kenburns" : a zoom effect will be actived. I published the slideshow module (see next section) with the module position "top". The type of the Home menu item (in Menu manager) is "Featured articles" and I haven't any featured article. So there isn't any article displayed under the slideshow. 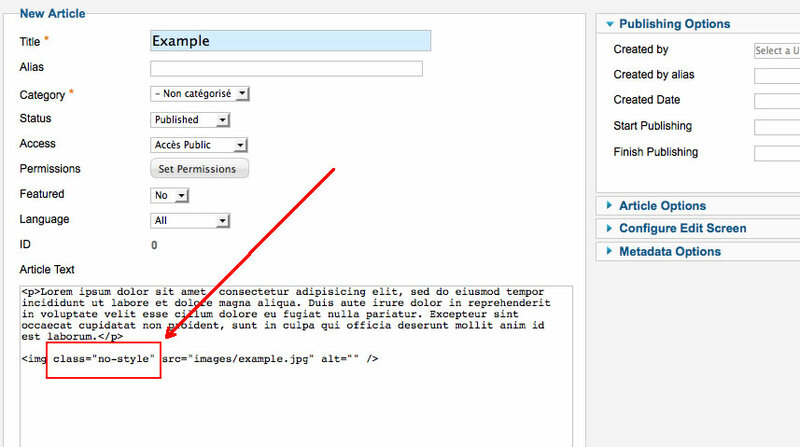 On the Left side, I create and publish 2 Custom HTML module with the position "left". The first without any Module class suffix and the second with the Module class suffix "extrabox-2" (see previous paragraph). On the Home page there's a white module "Our collections". How to get that and why this module is thinner on others pages ? 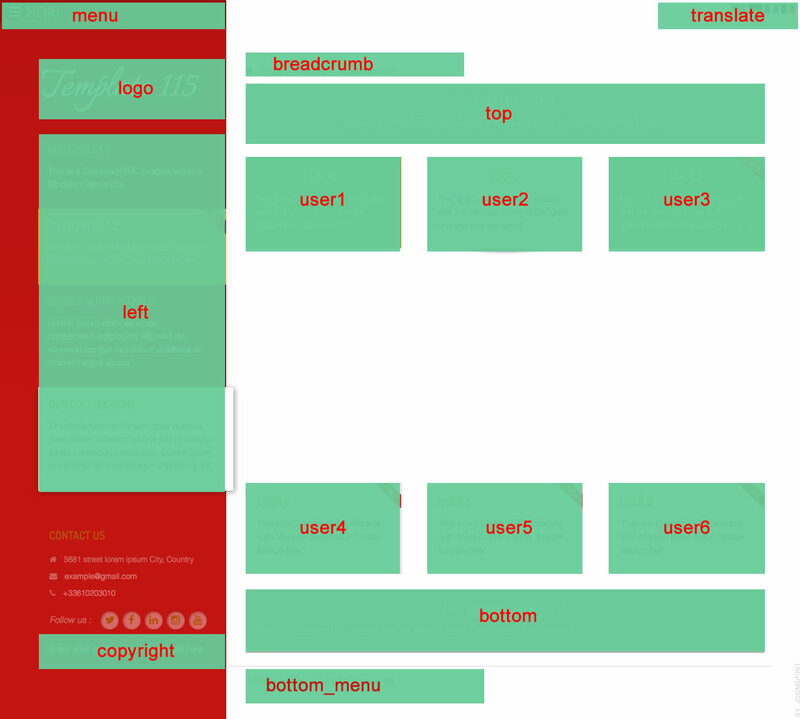 I create a new module with the type Custom HTML. I choose the position "left" and add the Module class suffix "extrabox-2" (see paragraph "Module class suffix"). So the width of this module is 125%. But it's not good for others page because the module hide the text of each article. So I choose "only Home page" with the option Menu assignment. Then, I duplicate this module. I change the Module class suffix to "extrabox-1" (with = 104%) and choose "all pages except Home page" in Menu assignment. On the right side, I can choose a background color but there's only 8 choices (in Template manager, section "Right side"). Is it possible to add a custom color ? With your image software (Gimp, Fireworks, ...), create a gif with a size of 4000 x 10 pixels and with your color. Save your "IMAGE.gif" in the directory "images" of the template.